Just in time to keep those little heads and ears warm! 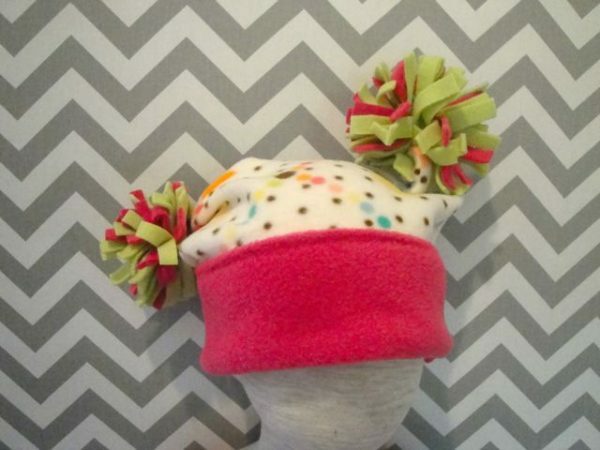 These fleece pom pom hats are so much fun! Fits children roughly 12 months – 3 years.